Carole Marsh Mysteries, 9780635016485, 150pp. Four real kids meet one real pirate ( or is he?) and in solving a mystery learn all about the Golden Age of Piracy from Maine to Florida Renaissance Learning, Inc now has Accelerated Reader quizzes for all of the Carole Marsh Mysteries To visit their website, click here. 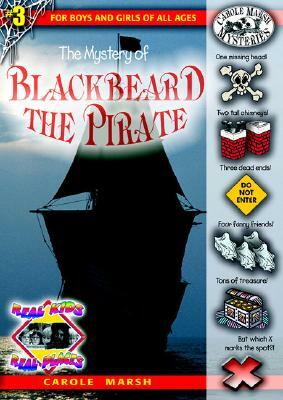 The Mystery of Blackbeard the Pirate is recommended by Sylvan Learning's Book Adventure reading program. Book Adventure is a FREE reading motivation program for children in grades K-8. Sylvan Learning is the leading provider of tutoring and supplemental education services to students of all ages.